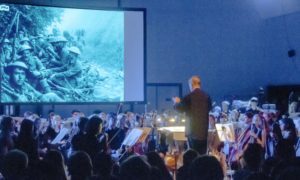 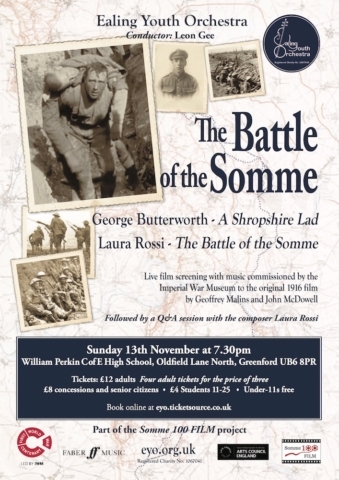 EYO performed to a packed house in their Remembrance Day concert on 13th November, giving heartfelt performances of A Shropshire Lad by George Butterworth (who was killed at the Battle of the Somme) and Laura Rossi’s score to the original 1916 film The Battle of the Somme. 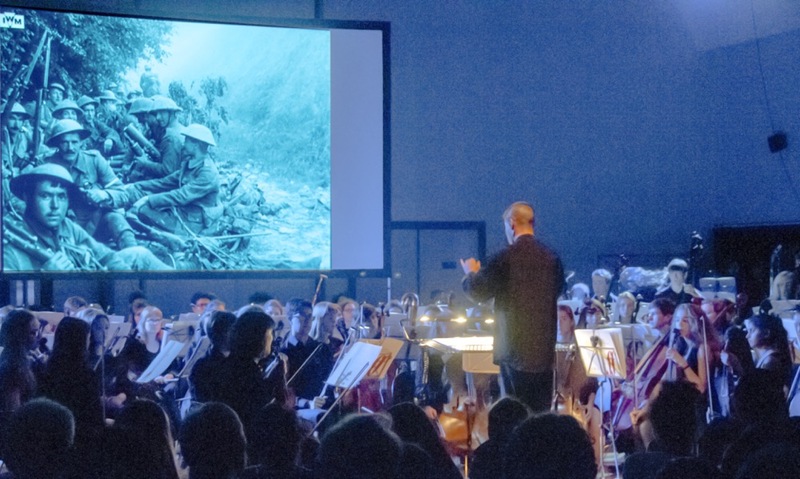 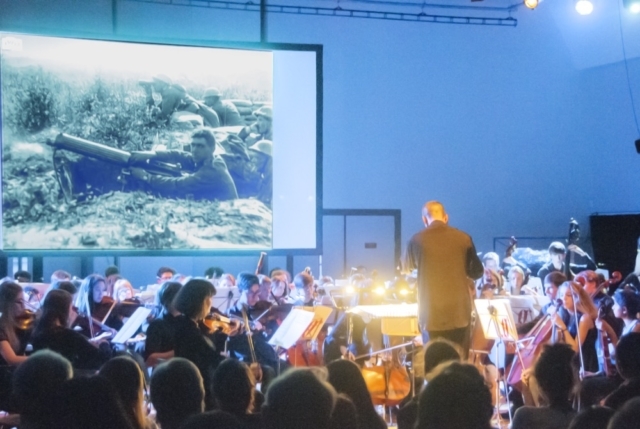 Performing a live score to accompany the screening of the film was a first for EYO and something they carried off with immense technical assurance and great feeling. 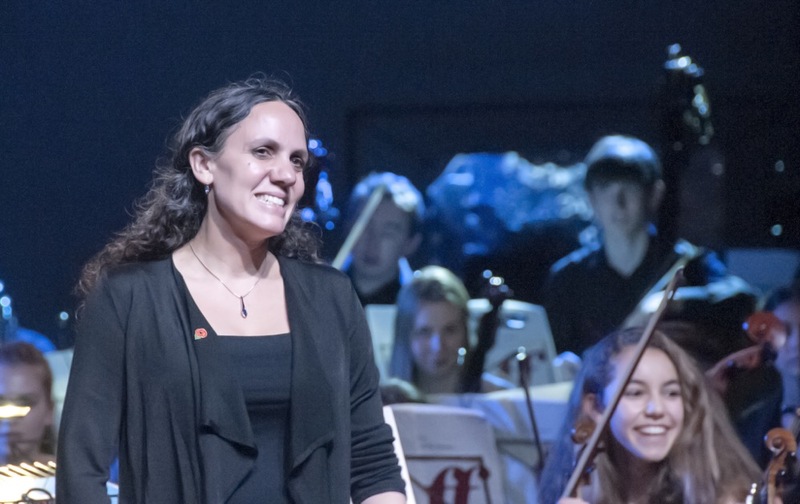 The performance was given in the presence of the composer Laura Rossi, who gave warm praise to the orchestra, noting particularly the depth of emotion achieved. 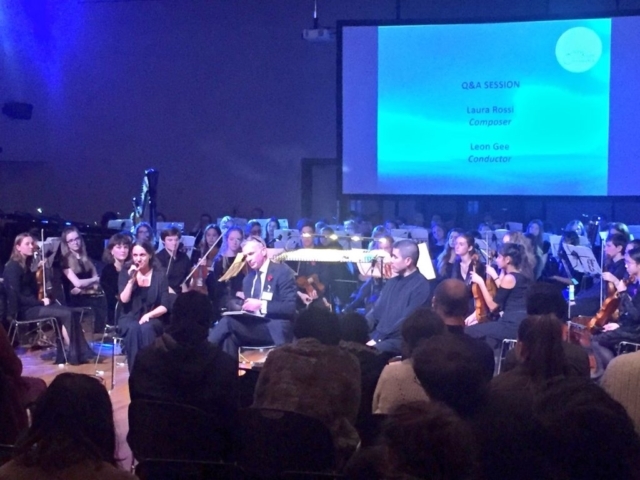 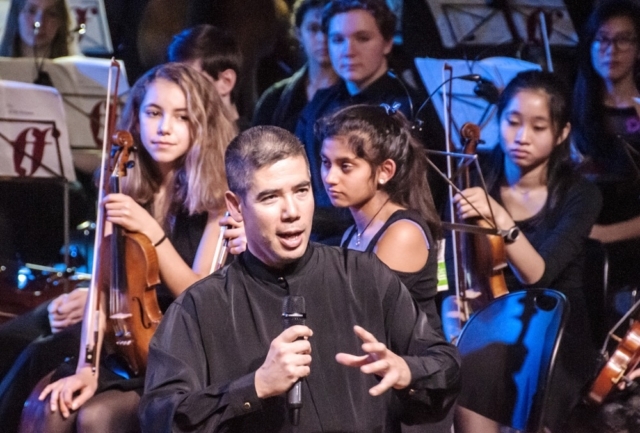 It was also EYO’s first performance in the superb new Performance Centre of William Perkin High School, a venue to which the orchestra will undoubtedly return. There was an open schools rehearsal in the afternoon. 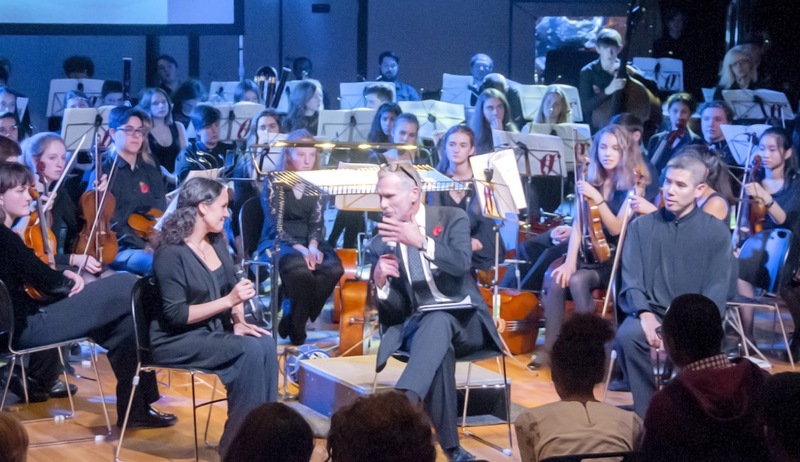 After the evening performance there was a Q&A with composer Laura Rossi and conductor Leon Gee. Christopher Brown, Chair, Ealing Youth Orchestra.